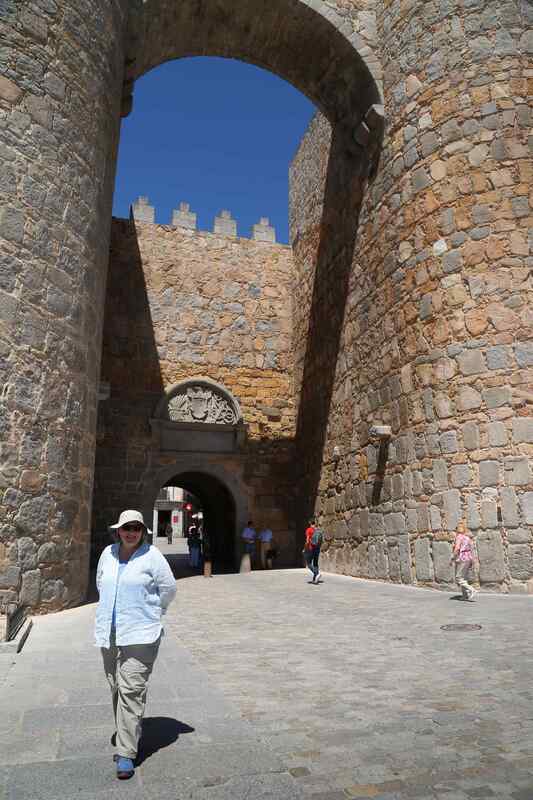 Ávila, Spain is a fortress lover’s delight and a place where faith in the Catholic Church has been protected. The massive fortress walls kept out the unwanted, and the numerous churches provided opportunity for the faithful to worship their Almighty. As ancient peoples struggled to thrive in an uncertain world, they often relied on two things for protection – churches to profess their faith in God and a sturdy fortress to keep enemies out. 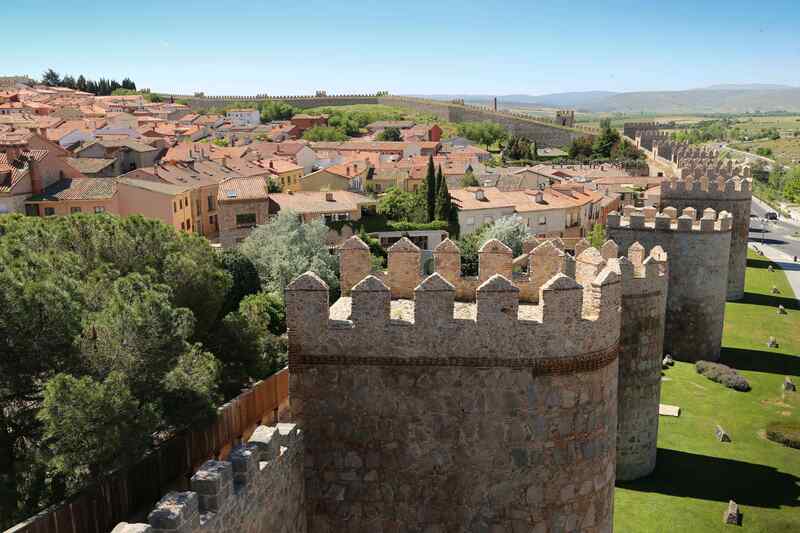 For thousands of years Ávila’s ideal location has been favored by a succession of cultures and today is renowned for the number of churches and the best-preserved fortress wall in Spain. 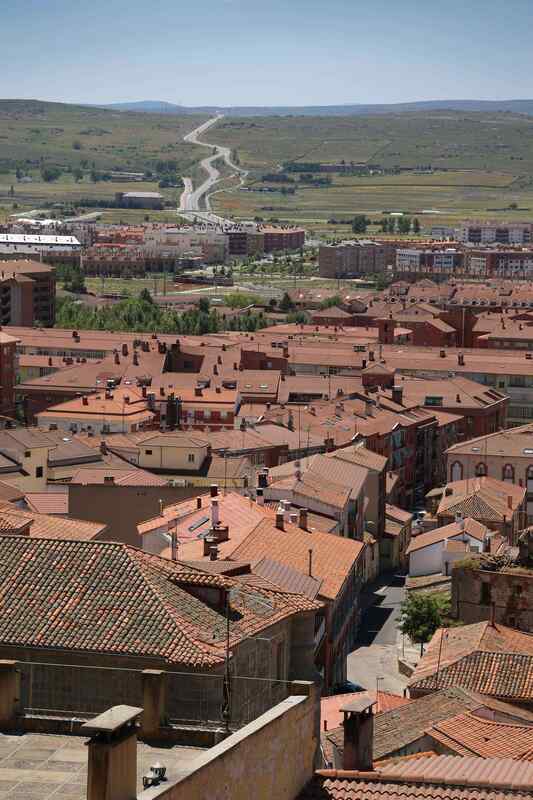 No doubt the meandering road at the top of this photo has been traversed for thousands of years, since in this part of the world all roads lead to Ávila. 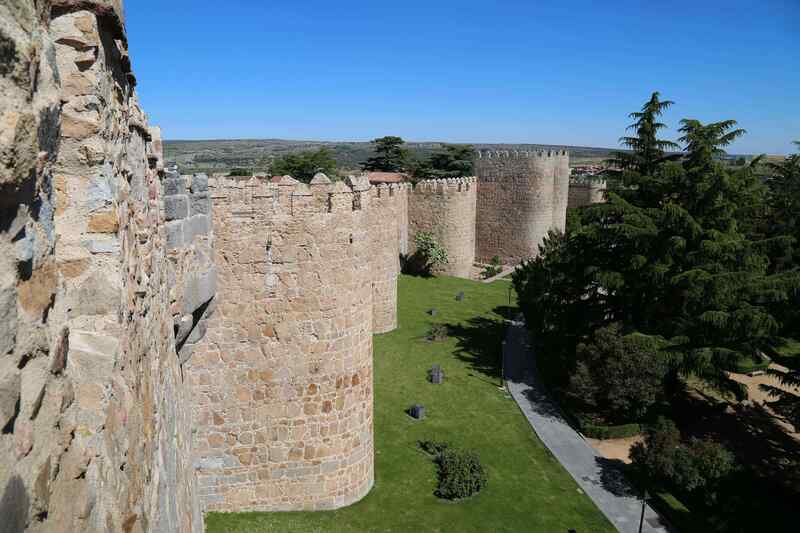 Today peace reigns upon the land and therefore the city of Ávila can safely grow beyond the protection of the fortress wall. From this angle, centuries ago, the buildings beyond the wall were subject to marauders. Today they are an attractive location for visitors and residents in this old Spanish city. Human occupation of the region goes back as far as 700 B.C., first by a group of peoples known as Vettones. And like most every part of southern Europe, the Romans conquered and settled the area, in this case around the 3rd Century B.C. The Romans were supplanted by the Moors, who were later driven out by people who would piece together Spain. 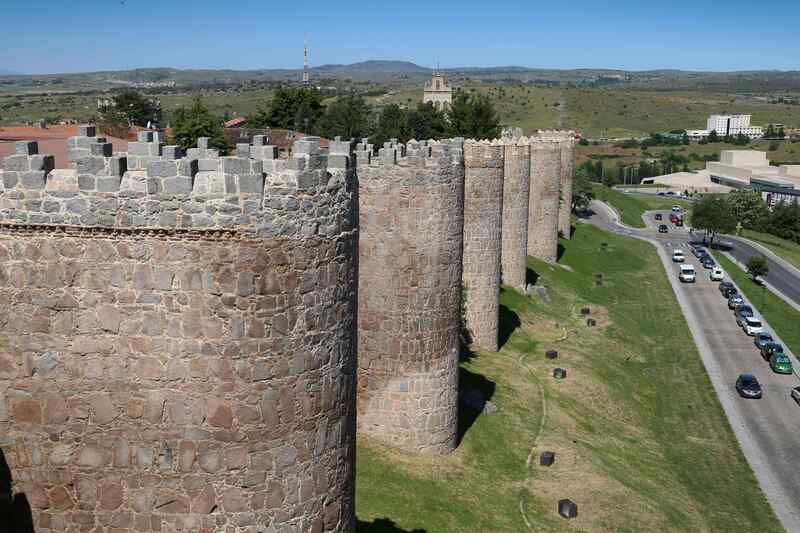 Ávila was strengthened as a fortress to protect an emerging Spain from the Moors. 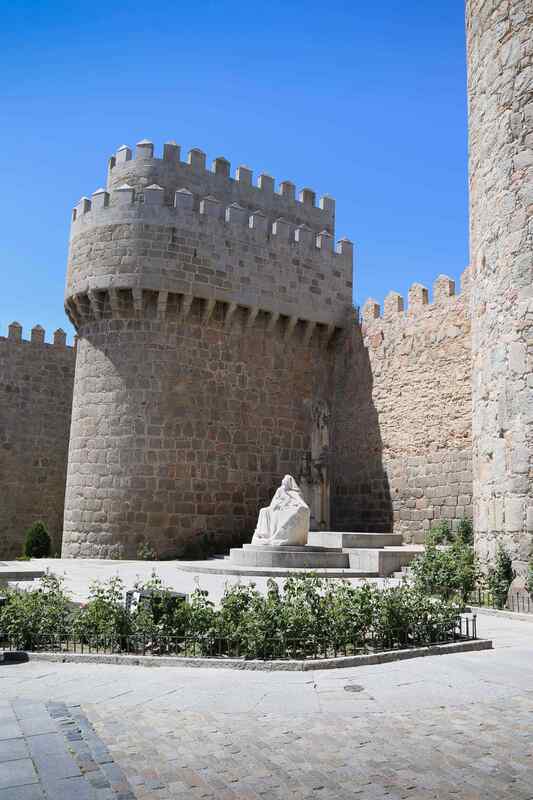 Thanks to location and design, the fortress at Ávila made this a well protected city. Rock or stone by definition is tough, but granite rendered into massive fortress walls like these, would have been impregnable to any invading force. The fortress walls are brown granite. Construction began in 1090 A.D. and was completed in the 12th Century. The wall is well preserved and impressive by many measures. At more than 8,250 feet in length, the wall encircles approximately 76 acres of the old city. The wall is nearly 40 feet in height and almost 10 feet thick. Nine gates regulate traffic in and out of the old city and 88 semicircular towers provided a location to muster soldiers, arms, and supplies. In 1985 the wall and old city inside were named a UNESCO World Heritage Site. 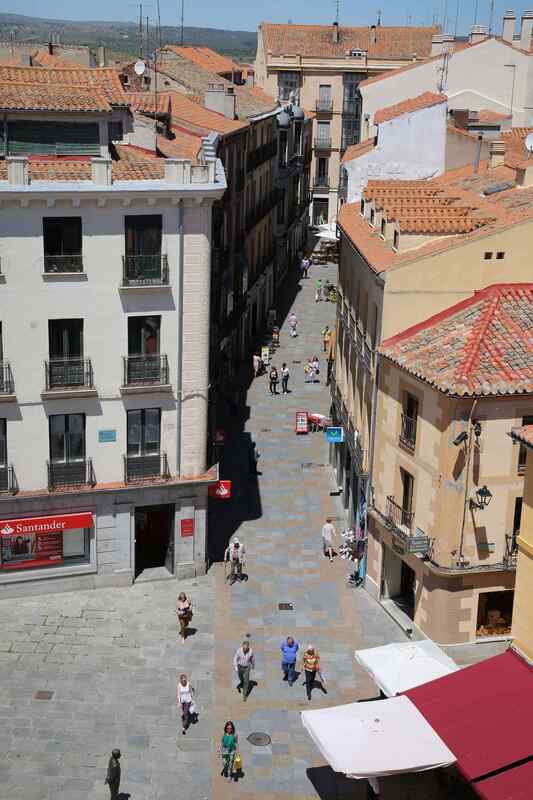 The old city of Ávila is a warren of crooked streets and pop-up plazas, and now a UNESCO World Heritage Site. For the enemy looking from the outside, the immensity of the fortress wall must have been disheartening. For those living inside the protection of the wall, this granite barrier was most certainly a great comfort. 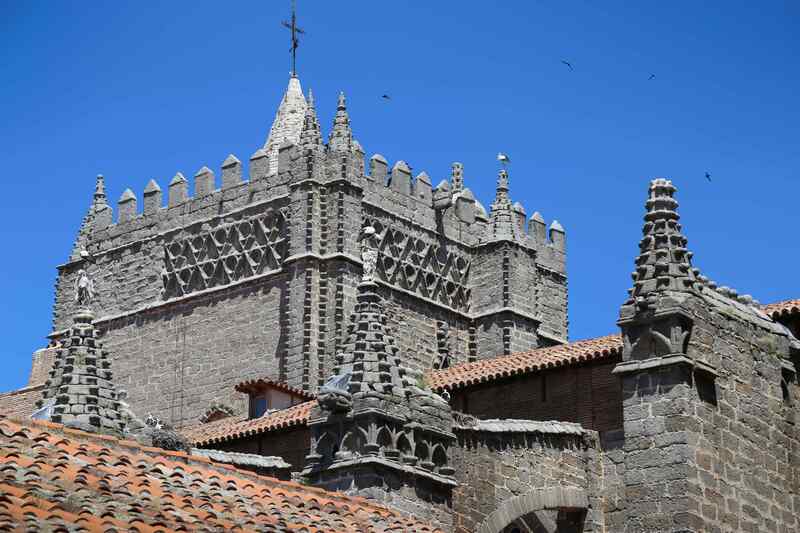 A combination of circumstances account for the large number of churches and a cathedral – today there are more than a dozen – in Ávila. As Spain came into its own as a nation, the people drove out the Moors. The population increasingly turned to Catholicism – and the Vatican in Rome – for spiritual guidance. And though Spain had had a relatively large and prosperous Jewish population, the pope increasingly pressured Catholic monarchs to either convert the Jews to Catholicism to force them out. Many Jews converted, but even then, their motives were questioned by suspicious popes. Further complicating the domestic situation, the ascension of Ferdinand and Isabella to the throne set the stage for a harsher examination of both converted Jews, and anyone suspected of not being a true Catholic. For the ruling class, life is always good, and this courtyard inside the fortress walls provided a calm refuge to idle away some of the day. 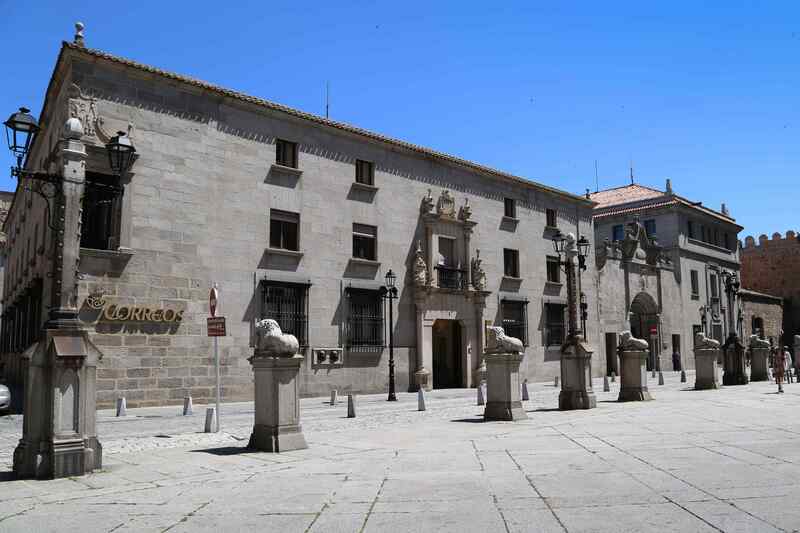 Today this elegant building is a branch of the Spanish post office, but in days past it also served an important function in the city’s government. Ferdinand and Isabella were cousins and devout Catholics. Their desire to secure Spain’s borders and demonstrate the fervor of their faith resulted in acquiescence to the pope. Paranoid popes, suspicious of Jews who had converted, urged monarchs to conduct inquiries as to a person’s fidelity to the Catholic faith. The result over time was the infamous Inquisition. 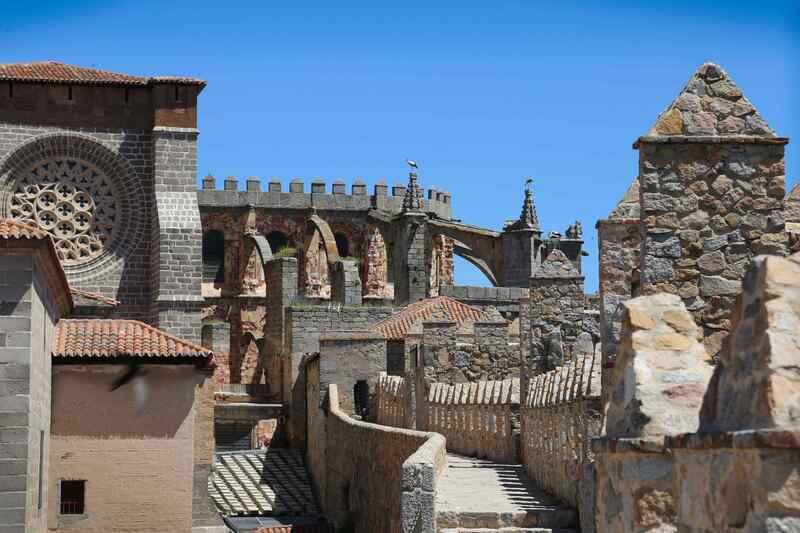 Ávila’s fortress walls provided the opportunity — and preservation — of an important architectural and engineering development, the flying buttress. The arch is a span between the building wall and the supporting pillar. The result was larger internal volumes, thinner building walls and the possibilities of ever-larger stained glass windows that visually told the story of the Bible. 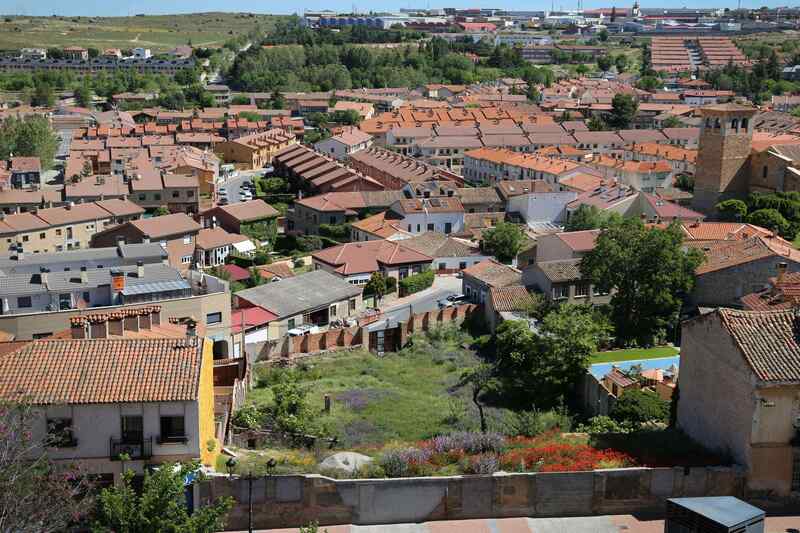 While this image gives the impression that much of Ávila has been stuffed into a small space, the buildings, architecture, and engineering is a process that actually took place over centuries. One of the clearest examples of the horrors of the Inquisition was carried out by Tomás de Torquemada, also known as the Grand Inquisitor. He possessed the dangerous combination of piety and paranoia and was thus the perfect vessel to carry out a reign of terror. For 15 years Torquemada oversaw the torture and persecution of converted Jews and Spanish Catholics whose faith was suspect. 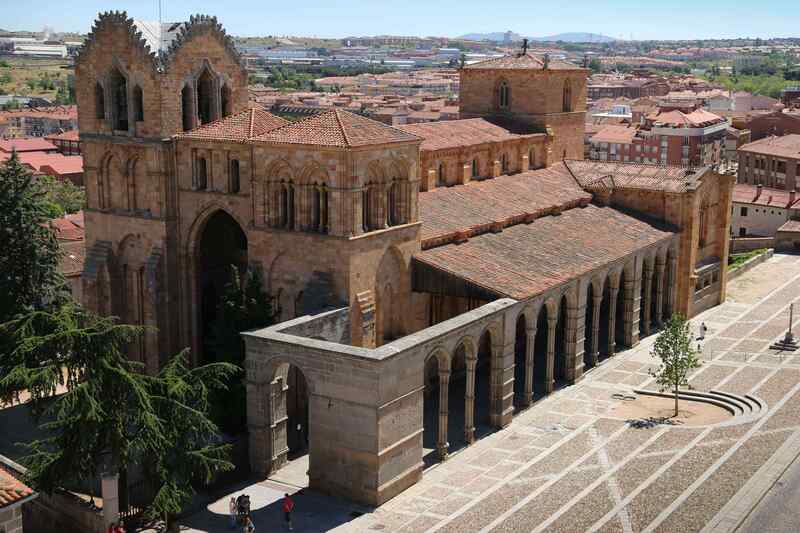 In September of 1498, he died and was interred in Ávila at the monastery of St. Thomas the Aquinas. 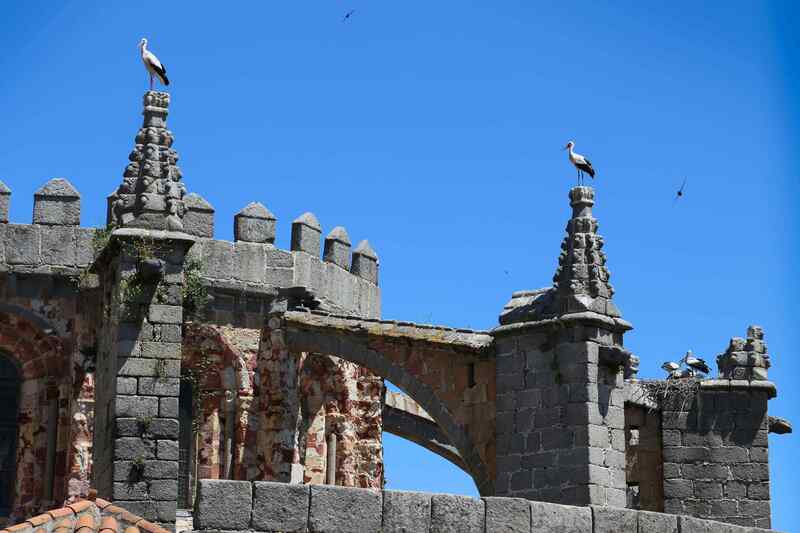 As old as Ávila is, it still provides important service to people and wildlife. Storks from Africa regularly migrate many hundreds of miles to nest and raise the next generation. The high vantage points with plenty of space between are ideal nesting sites. 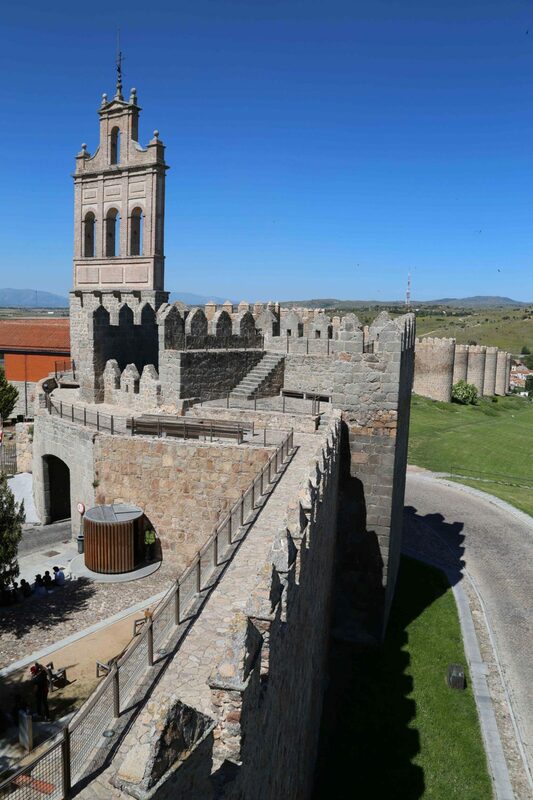 But Ávila has a positive counterbalance to its religious fervor, thanks to the life and works of Teresa of Ávila. St. Teresa of Ávila is memorialized with this white marble statue just outside the fortress wall. It could be argued that forming and consolidating Spain, along with the trauma of the Inquisition, left many of the country’s Catholics weary, and therefore relaxed, as to their religious passion. Teresa, a Carmelite nun born in Ávila, was sickly as a child. But in her adult years she demonstrated piety and showed no interest in earthly possessions. Her mission, as she believed God commanded her, was to demonstrate faith and restore the Catholic Church to a place of importance. She was tireless and produced a significant body of writings. On her death bed in October 1582, she is reported to have said, “My Lord, it is time to move on. Well then, may Your will be done. O my Lord and my Spouse, the hour that I have longed for has come. It is time to meet one another.” She is buried in Salamanca and was canonized a saint 40 years after her death. 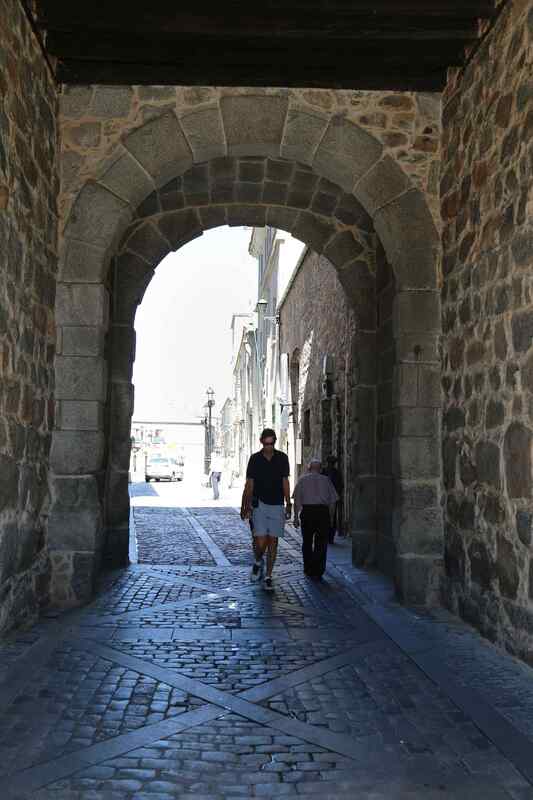 Nine gates control the access into the old city of Ávila, helping to ensure the safety of the city and its people. The access gates served as a way to regulate traffic and to reduce the places where invaders could attack. 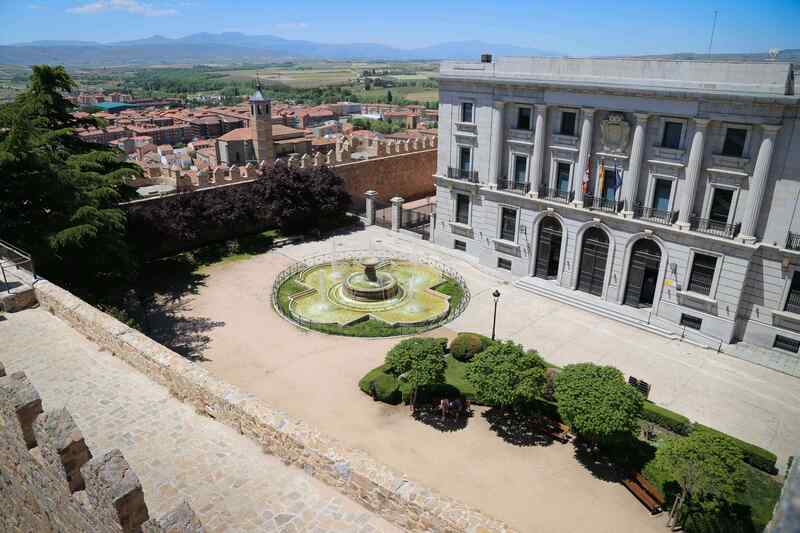 Ávila is an excellent visitor destination and offers a relaxed experience. 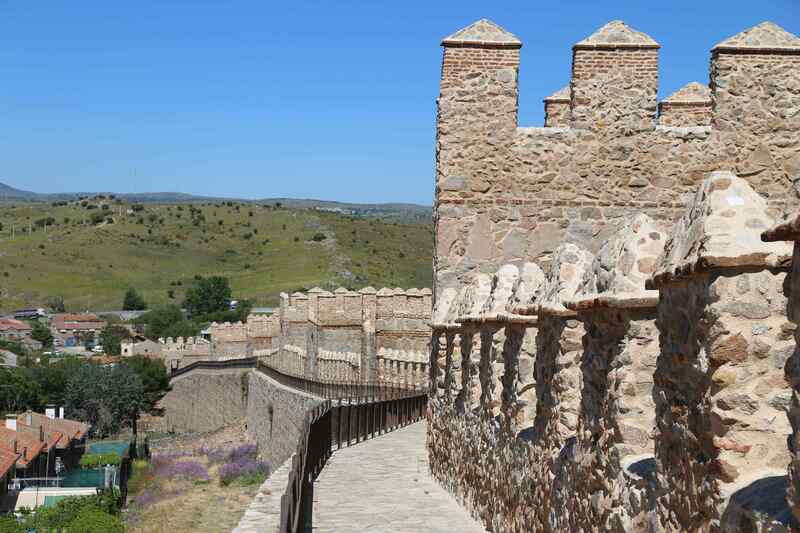 A stroll along the top of the fortress wall provides a deep appreciation of the effort to secure the city and the comfort residents must have felt when troubles came along. Wandering through the old city makes it easy to soak in the history and to walk along streets that have been used for well over 2,000 years. 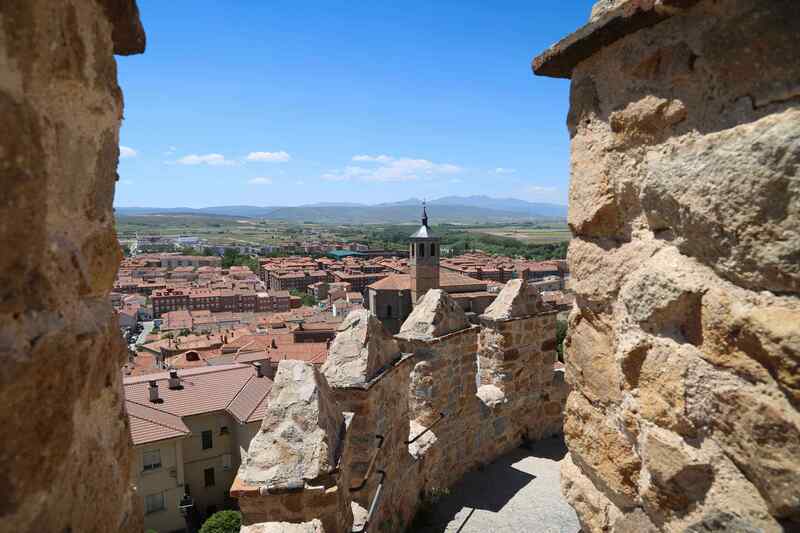 And while Ávila was once a city of harsh piety, it is today a welcoming spot for visitors from around the world. The grandeur of Spain’s Golden Era can be seen in a number of buildings in and around Ávila, including the Basilica de San Vicente. 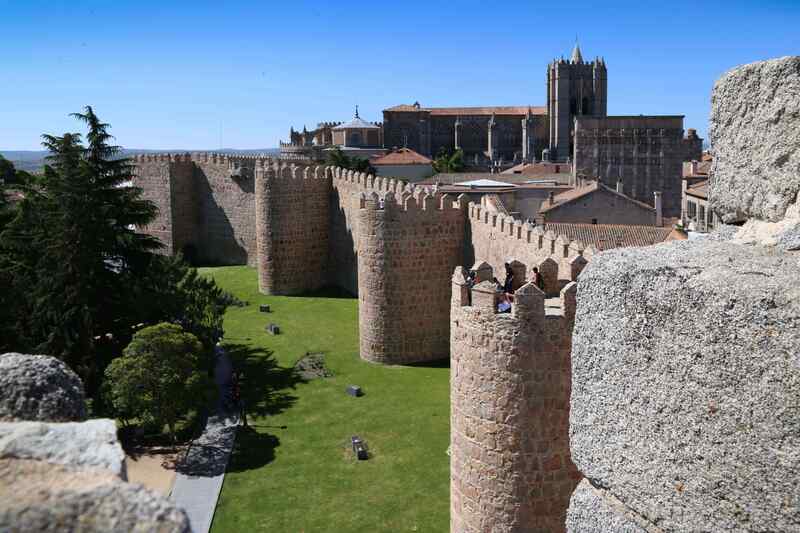 The old city is protected by the fortress wall that has kept Ávila safe for centuries and today is a showcase of Spanish heritage. 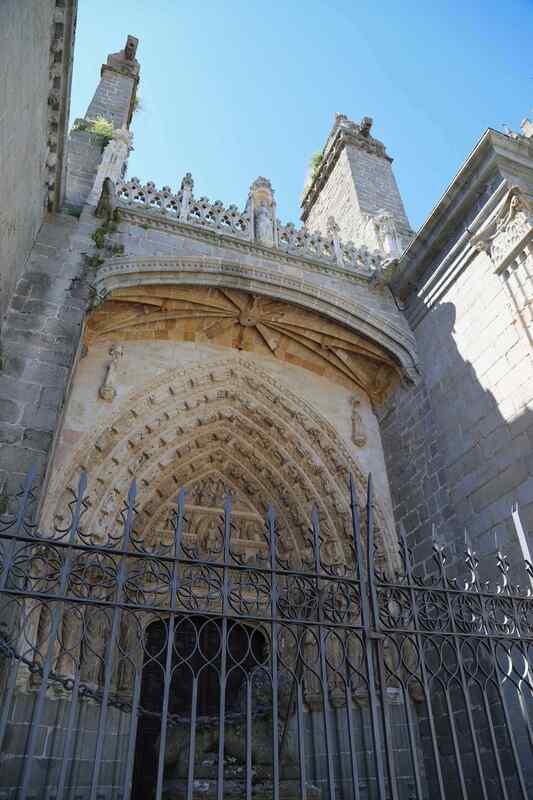 Fortunately, as time moves on, one can forget the harsh judgements of a Torquemada, or the restrictive piety of St. Teresa, and see firsthand the special charms offered by the treasures found in Ávila.